Yesterday evening Sander and Luc made an appearance at Omroep Venlo’s On The Rocks radio show (Venlo) to promote “Fortune Favors The Bold”. Thank you very much Eric, Marcel and Marc! 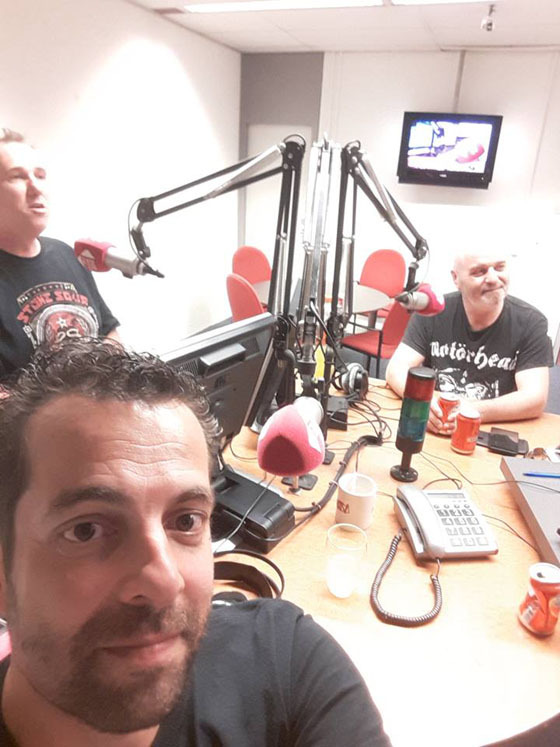 Yesterday evening Sander and Carl made an appearance at Omroepstichting ZuidWest’s T-on-Air radio show (Bergen Op Zoom) to discuss “Fortune Favors The Bold”. Thanks to Guiseppe Krijnen and Ronald for their support, good taste of music and hospitality! See you next time! 20 may 2018: Thank you Cartouche! Yesterday’s album release show turned out to be great! Thanks to all of you for showing up! Also a big ‘thank you’ to Amethist and OJC Cartouche! Check out the Media section for some images and videos! Finally... "Fortune Favors The Bold" is released today May 11th 2018! Available on CD (via Rock Company or any other retailer), ITunes, Spotify and Deezer! Purchase a copy and tell us what you think! Check out this new video containing snippets off of our album "Fortune Favors The Bold" (release date May 11th 2018) and again: tell us what you think! 21 march 2018: First song online! "My Will Be Done" from our forthcoming debut album 'Fortune Favors The Bold' (release May 11th)... enjoy! Na twee jaar van schrijven, arrangeren, demo's maken, perfectioneren, repeteren en tenslotte opnemen en mixen, presenteren we met trots ons album "Fortune Favors The Bold" waarvoor we jullie uiteraard van harte uitnodigen. Het gehele album zal live ten gehore worden gebracht. Support wordt verzorgd door rock/metalcoverband Amethist. Mixing stage of our debut album 'Fortune Favors The Bold' is done!